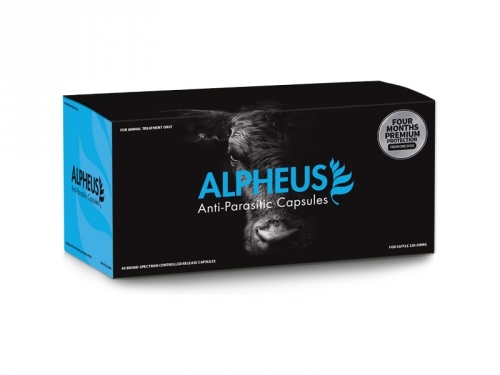 Alpheus Anti - Parasitic Capsule has been developed by Sirona Animal Health to protect R1 cattle. Alpheus give 4 months broad spectrum protection. ‘Unique flat head design of applicator makes it easy to administer.